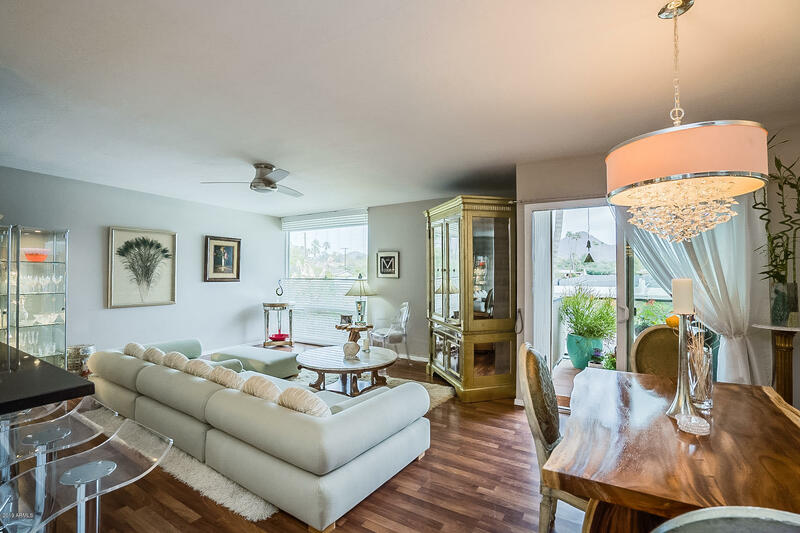 Best deal in Arcida/Biltmore! 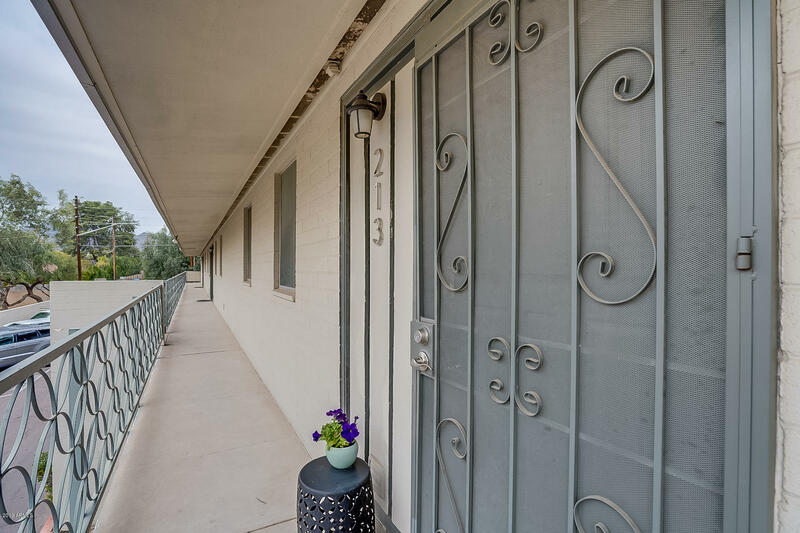 Walking distance to restaurants and shops! 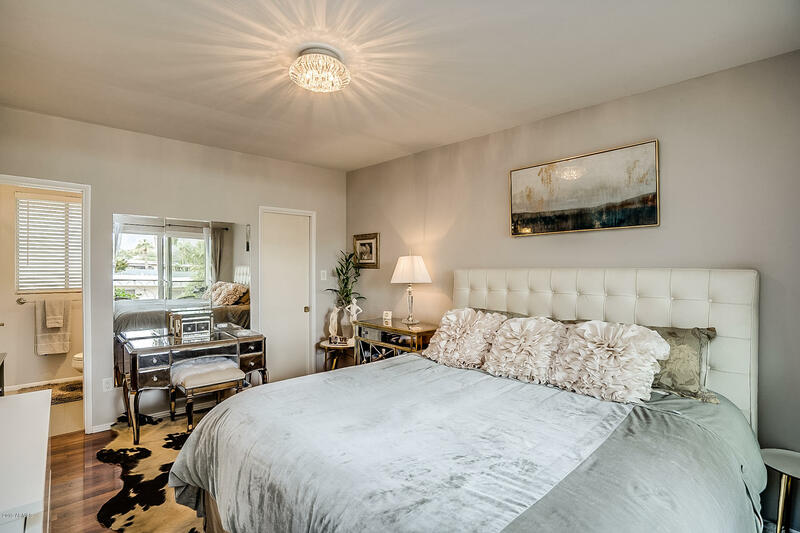 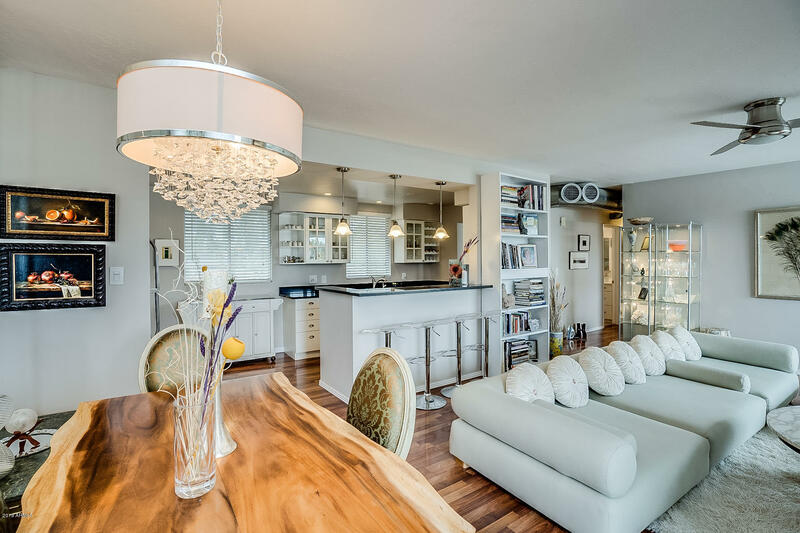 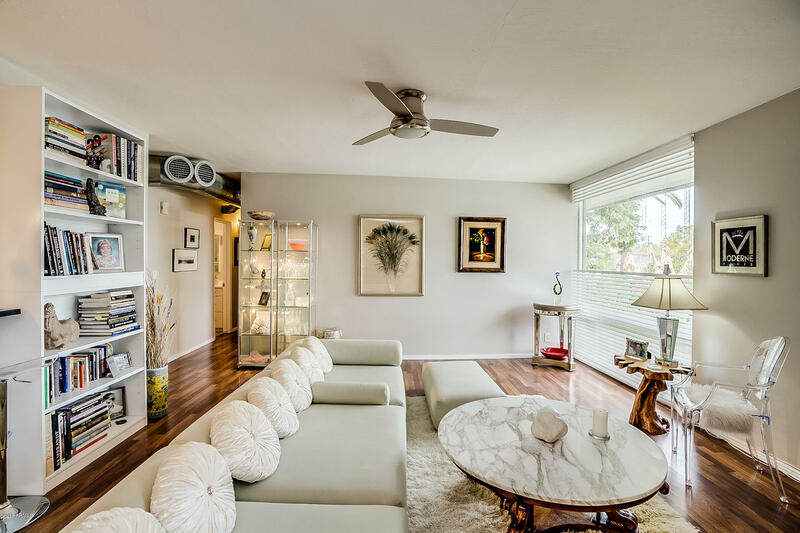 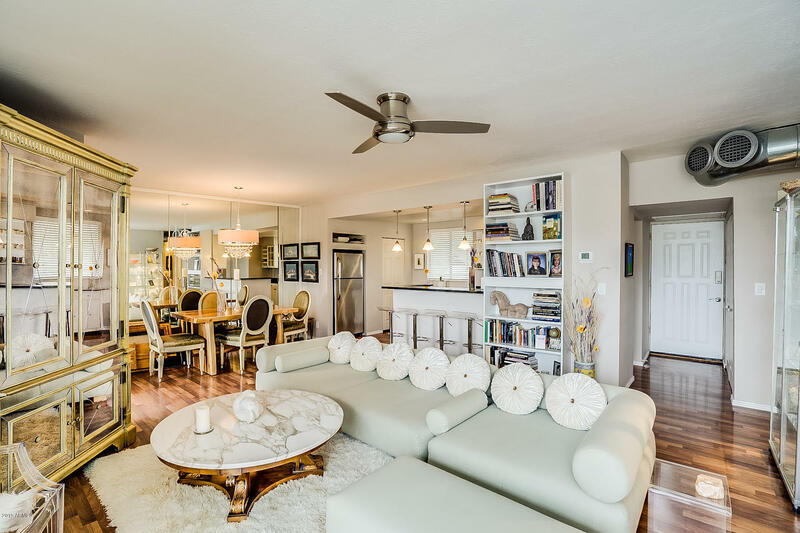 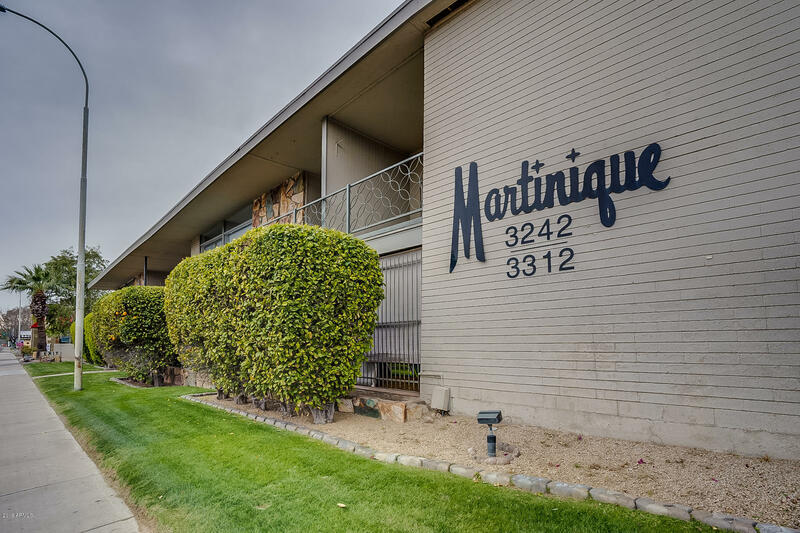 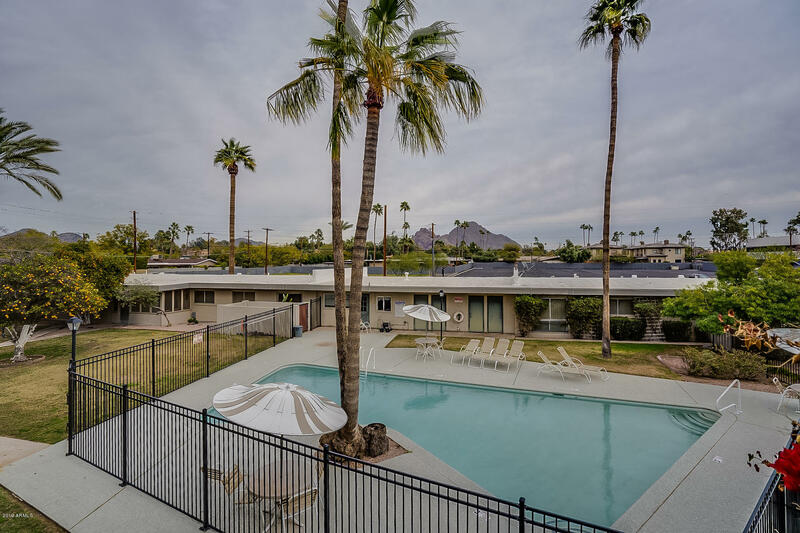 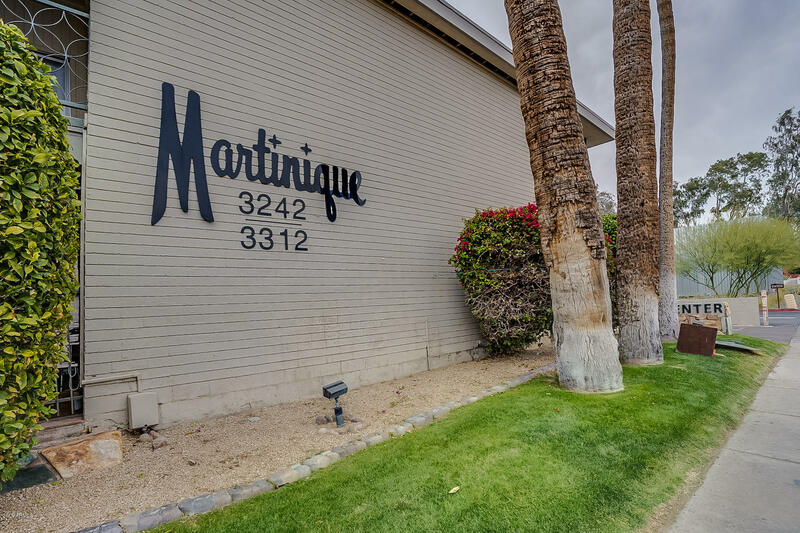 This Mid-Century, boutique-style, completely updated condo has million-dollar mountain views throughout. 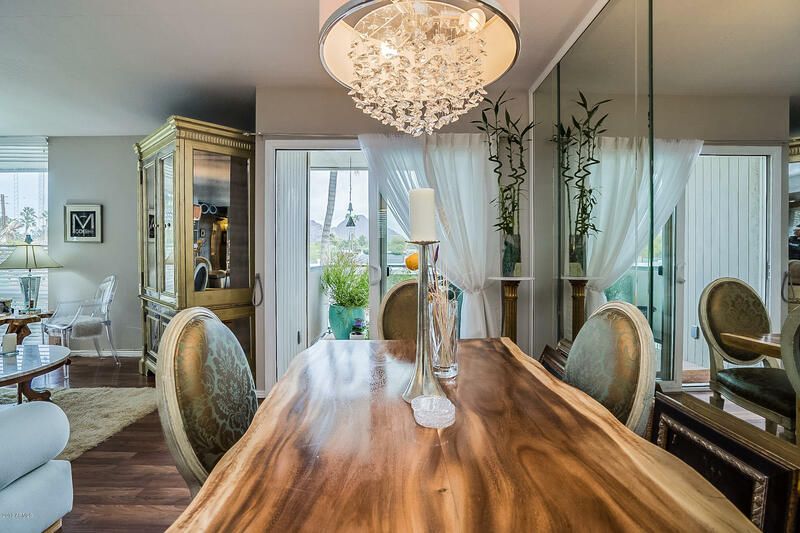 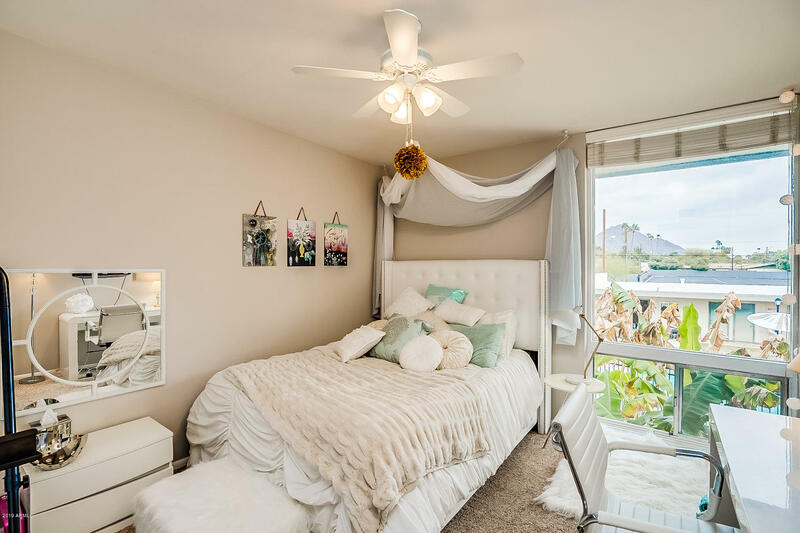 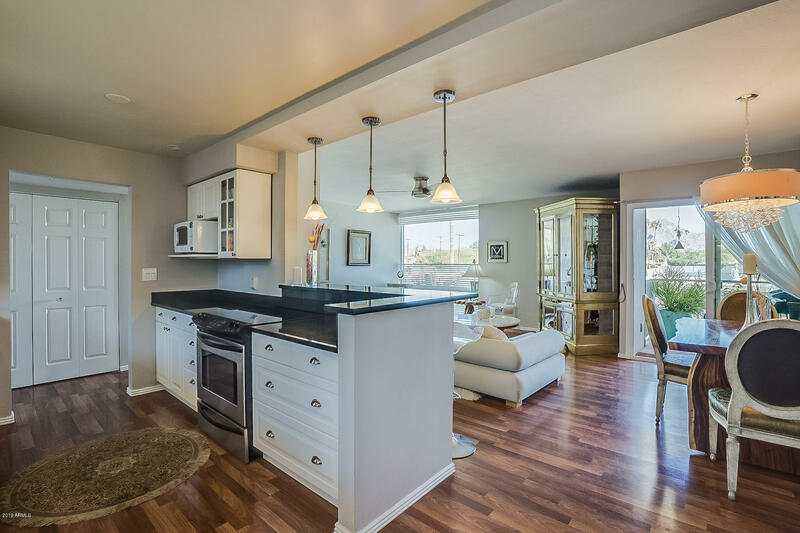 The main entertaining space is completely open, has light neutral walls that continue throughout the unit, and a floor to ceiling window looking directly out at Camelback Mountain. 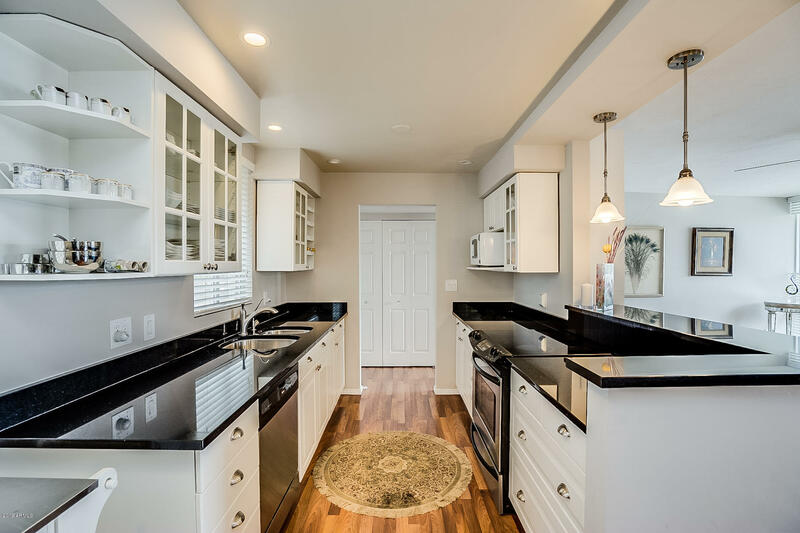 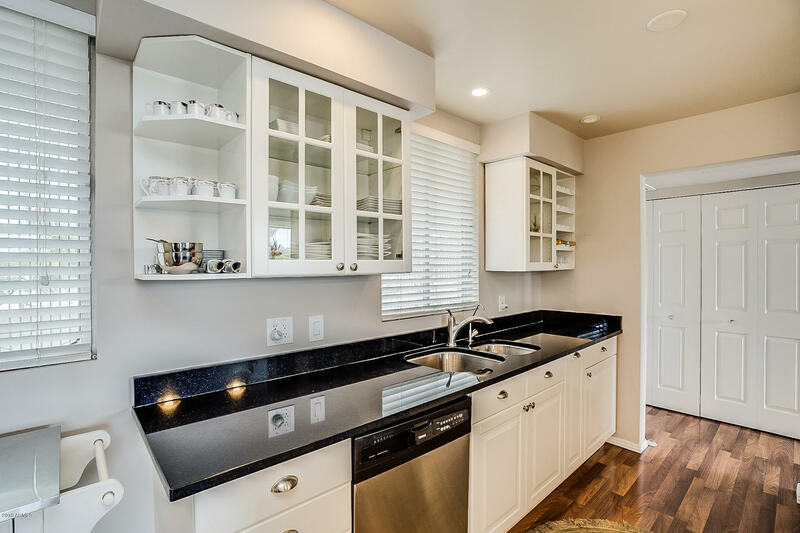 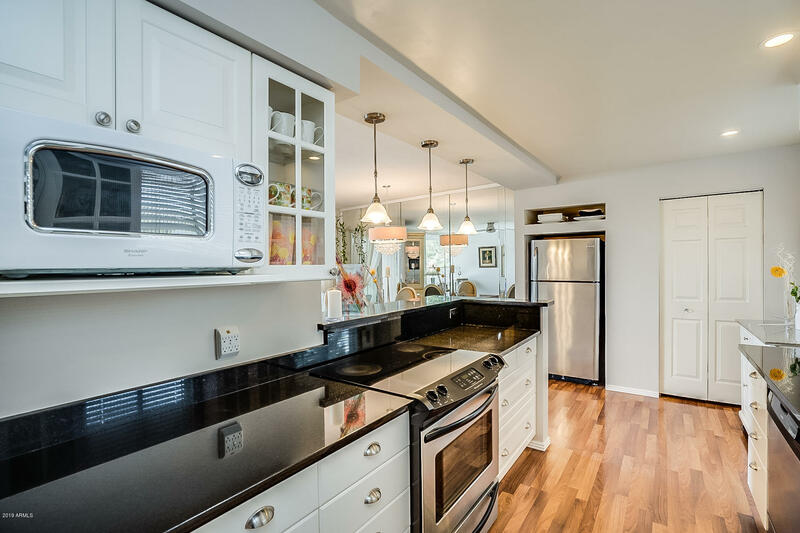 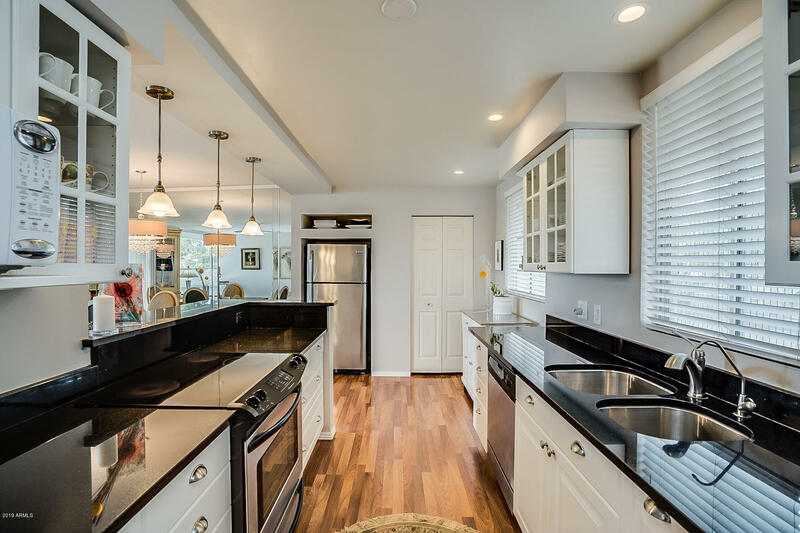 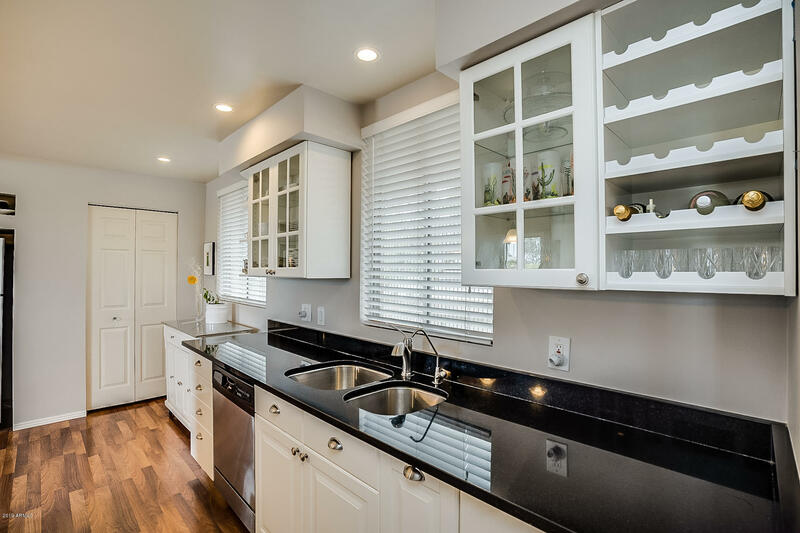 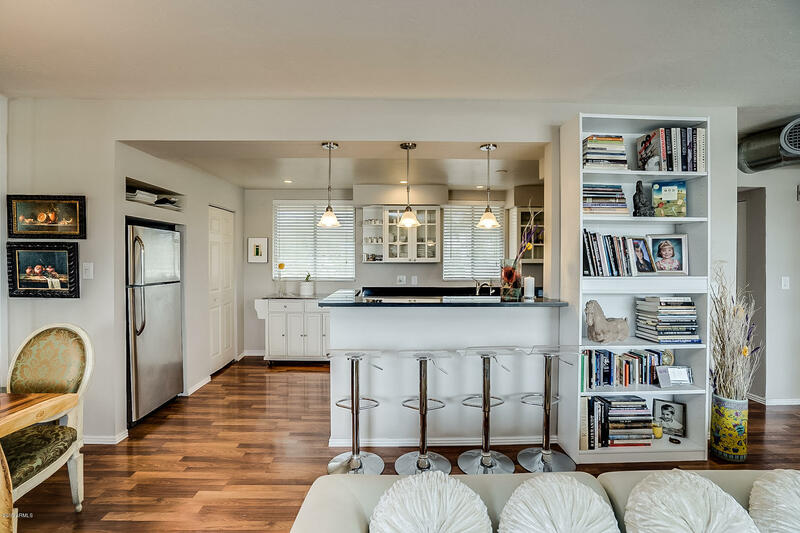 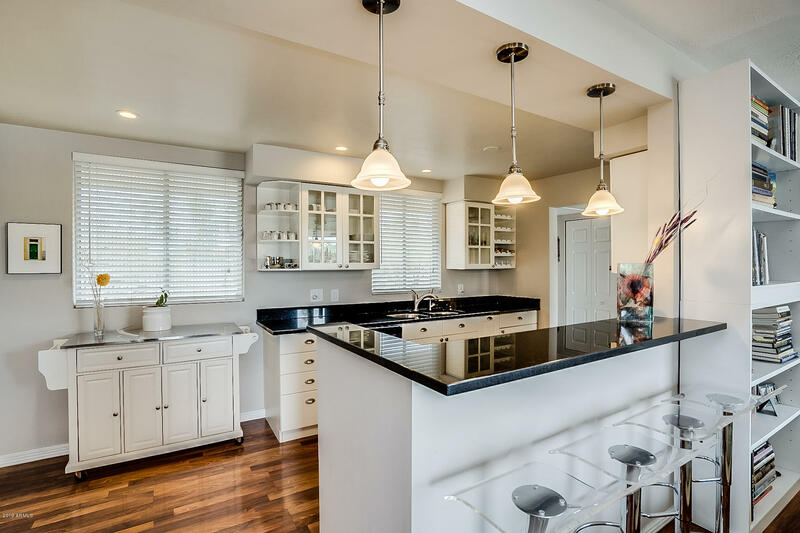 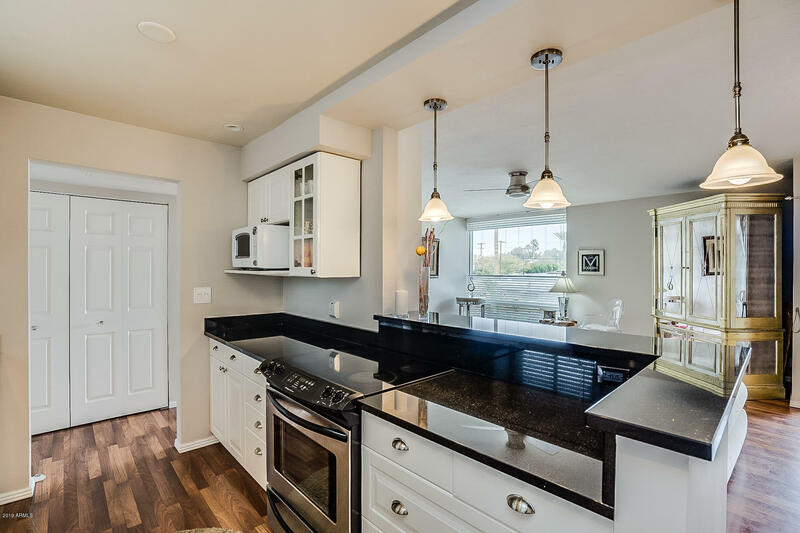 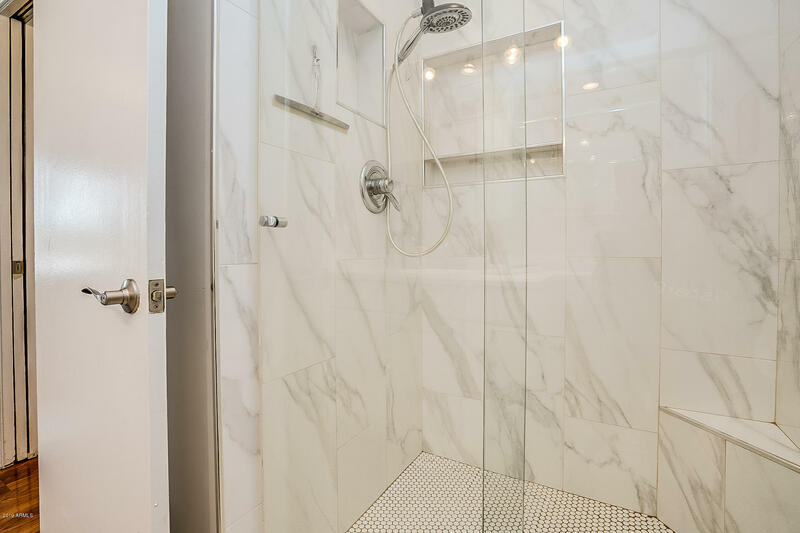 This open space features beautiful white shaker cabinets, gorgeous granite counters, a breakfast bar, and more. 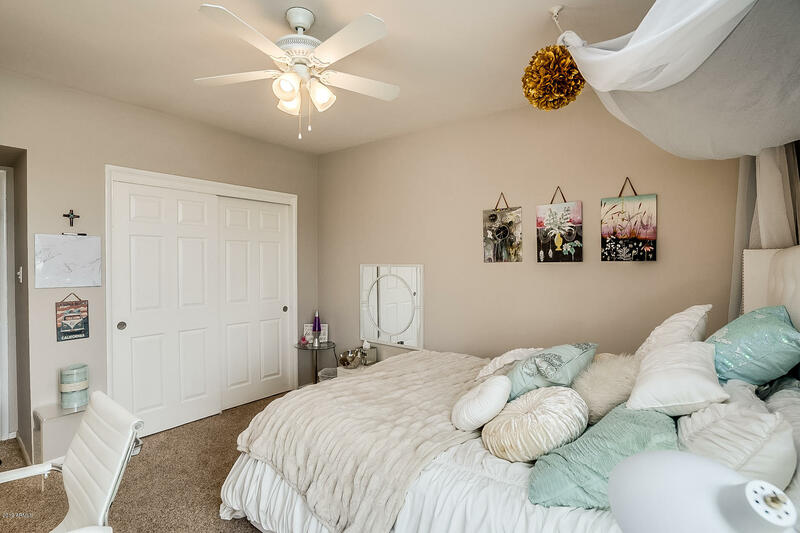 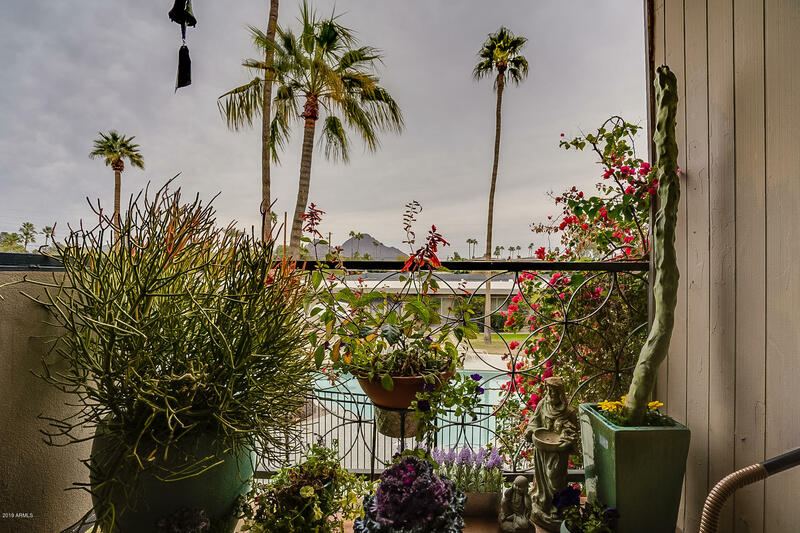 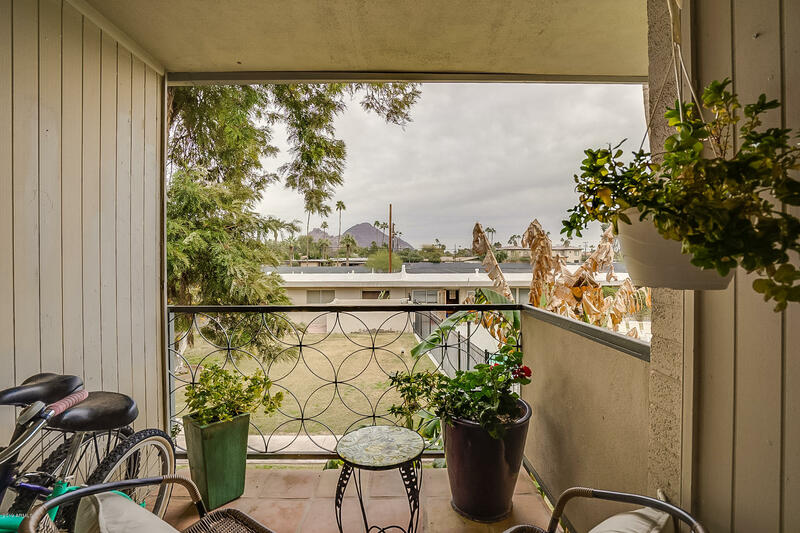 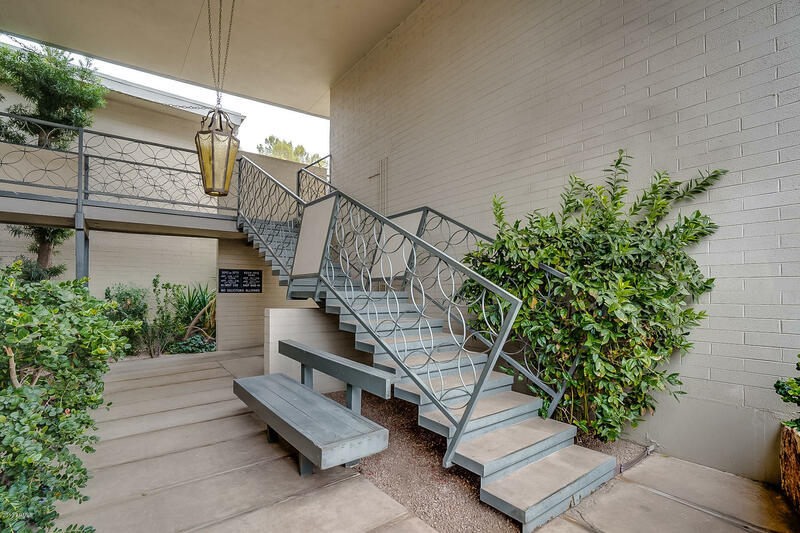 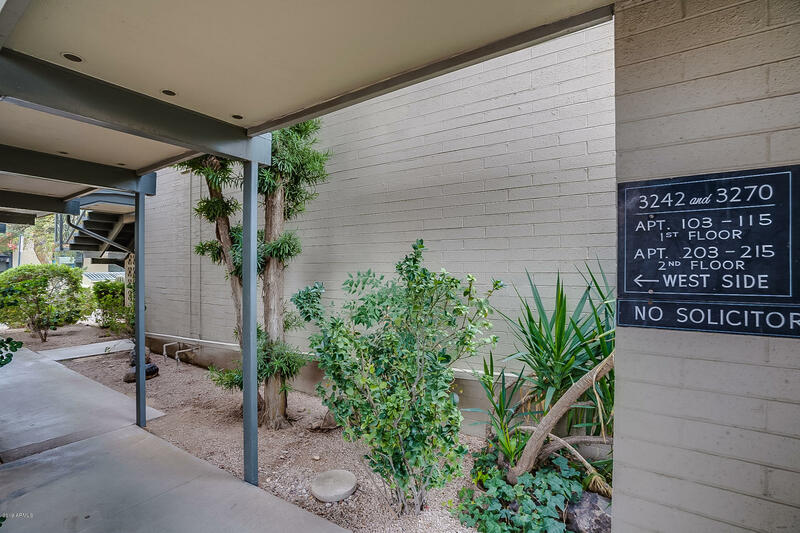 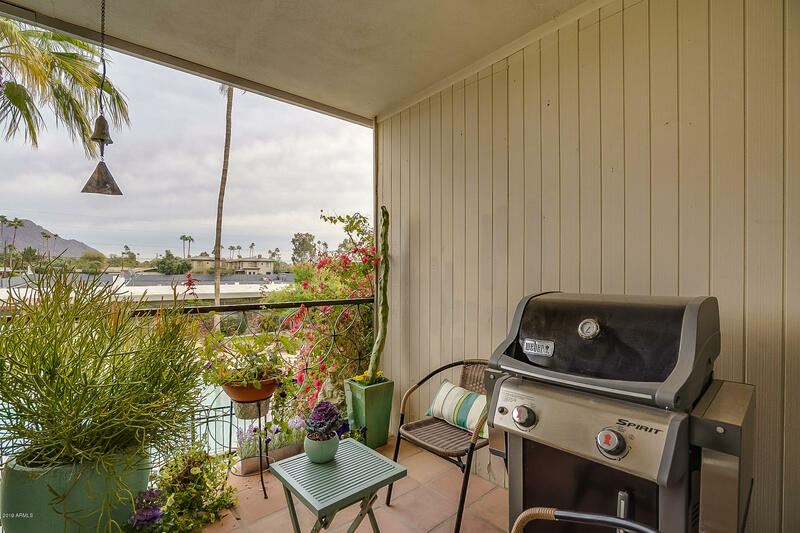 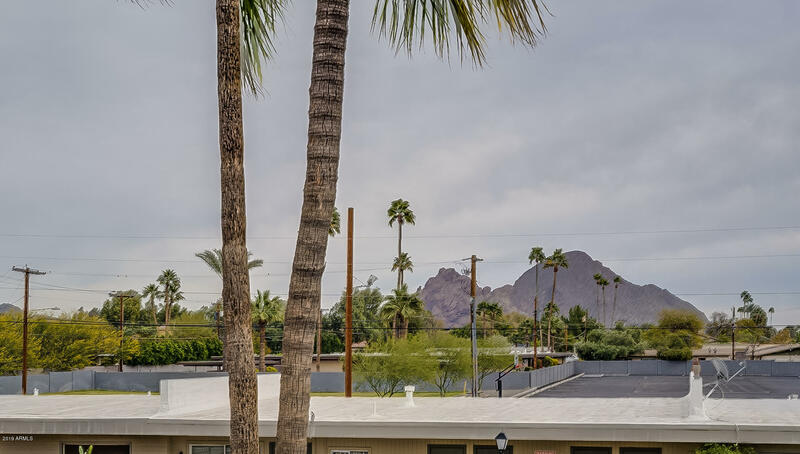 This unit offers two private balconies that both have views of Camelback. 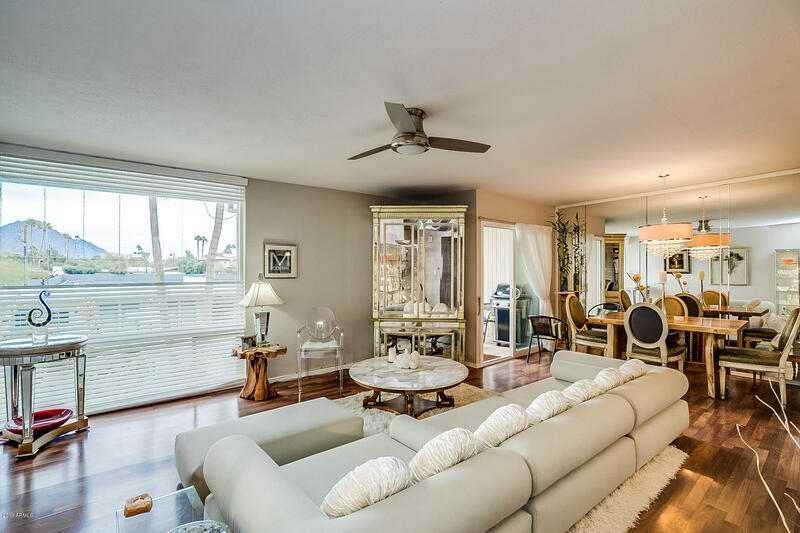 One balcony is off the main entertainment space and overlooks the pool area, and one is off the large master bedroom. 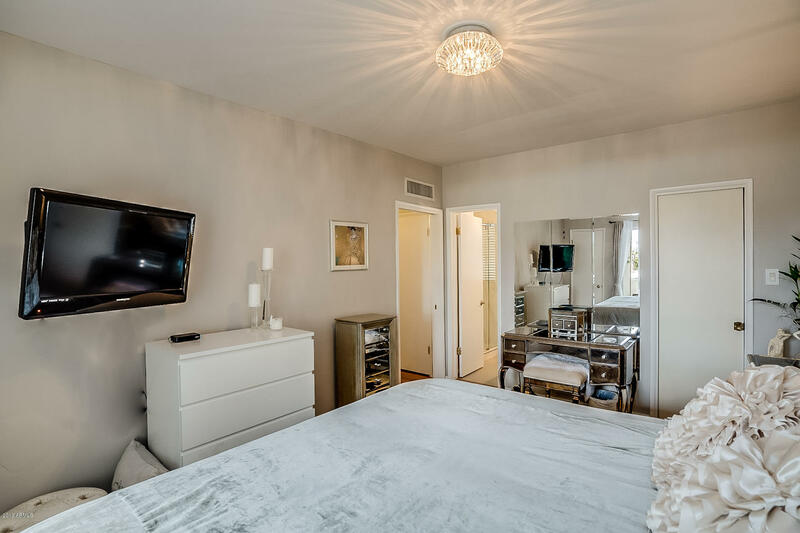 The master also features a walk-in closet. 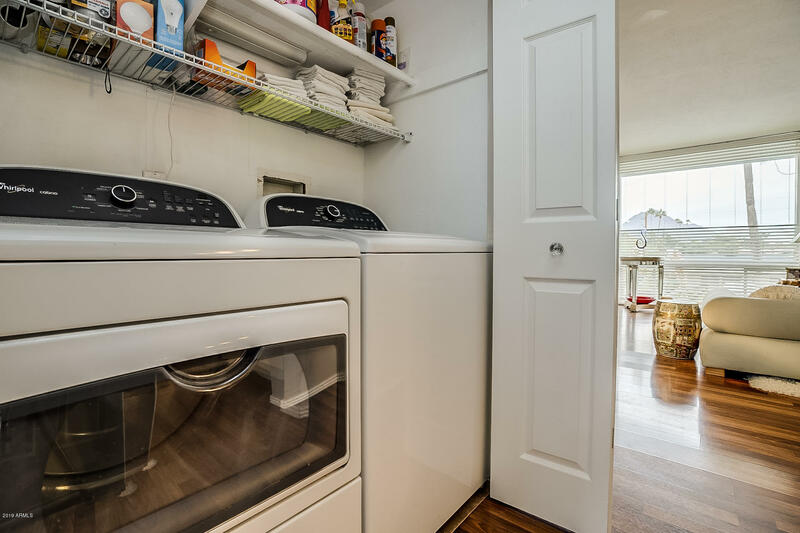 Washer and dryer are inside the unit. 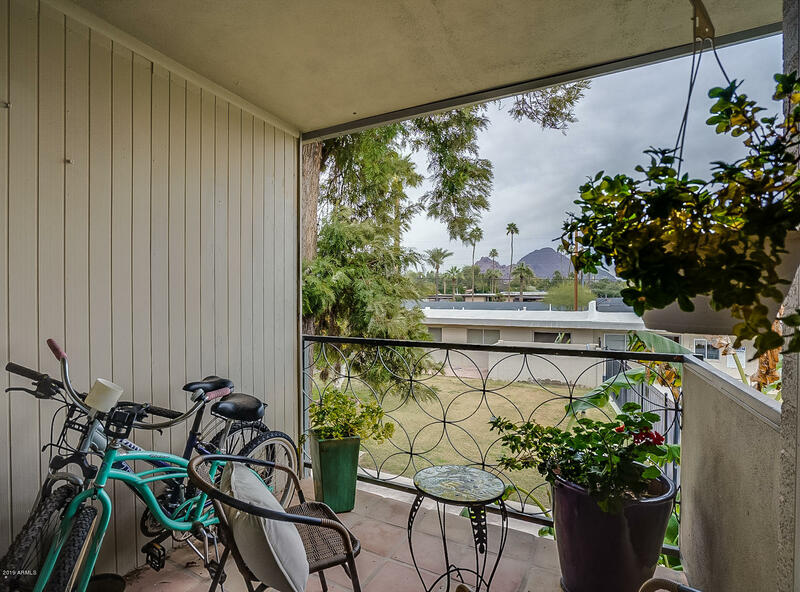 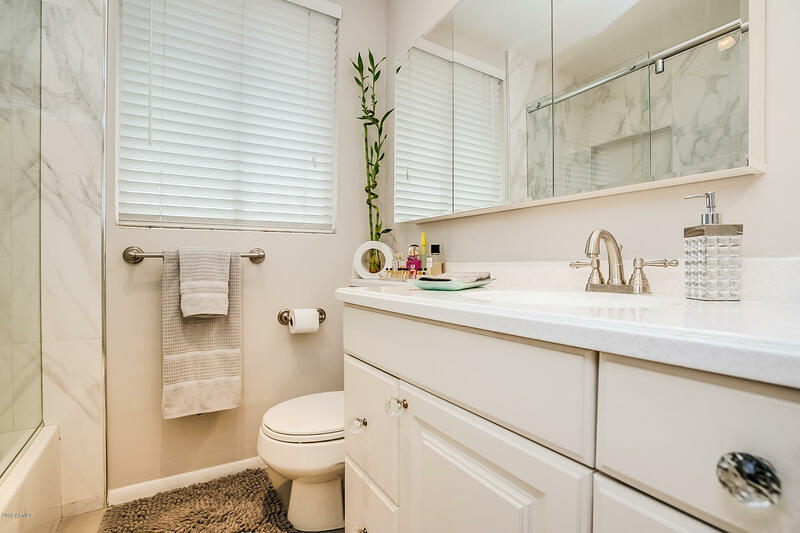 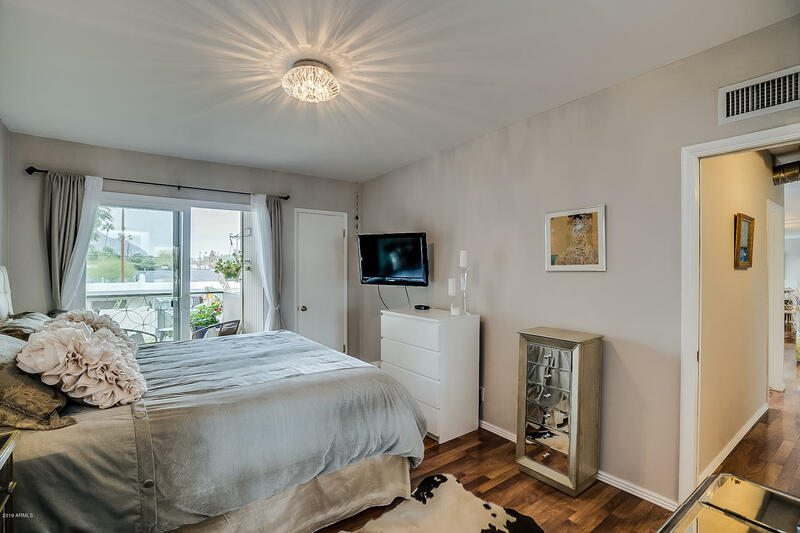 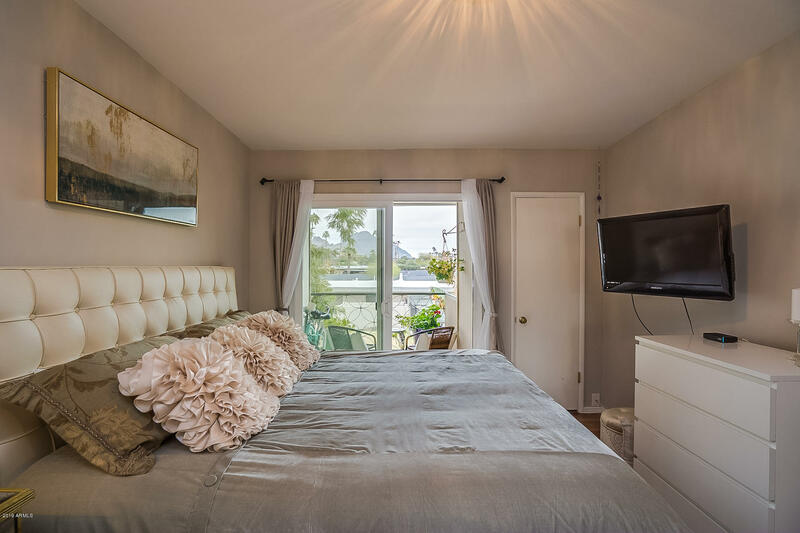 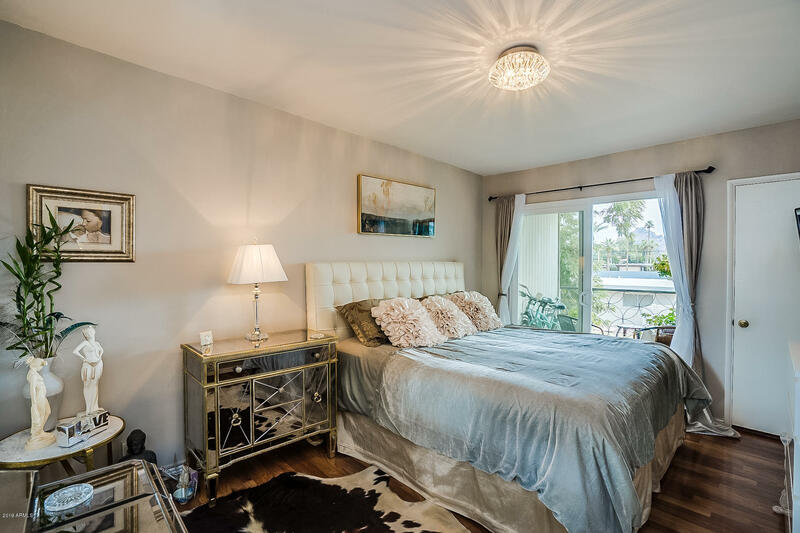 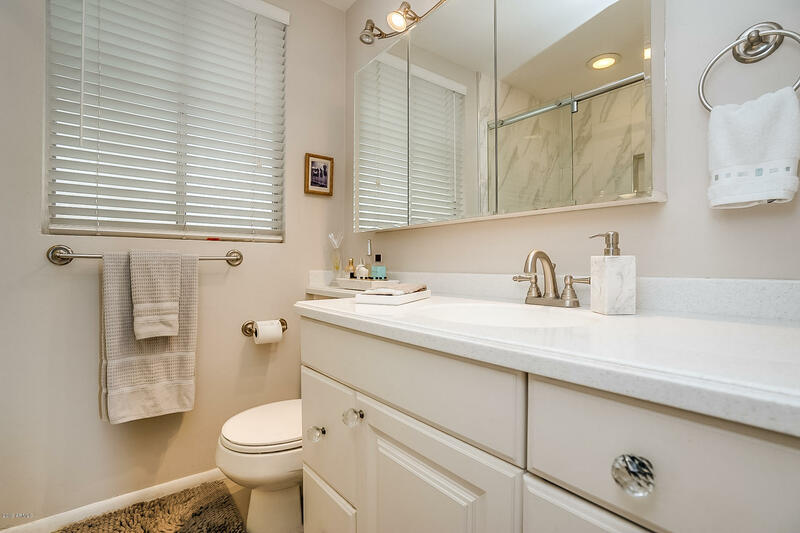 Short terms rentals are allowed by HOA Airbnb!